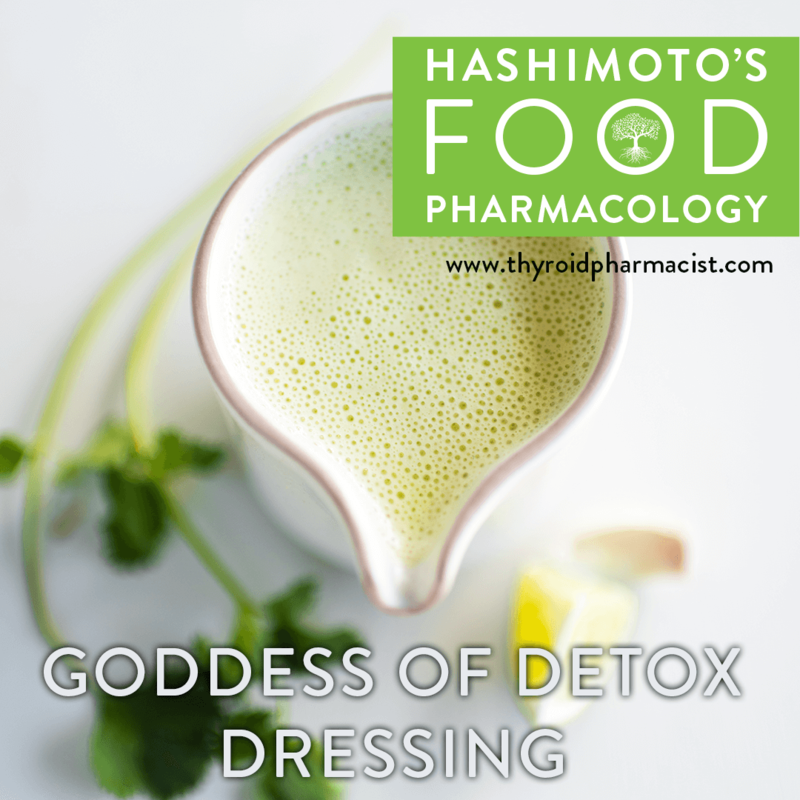 Goddess of Detox Dressing contains plenty of health-promoting ingredients, including probiotic-rich coconut yogurt, digestion-supporting apple cider vinegar, and detoxifying cilantro! You can use it on salads in place of creamy dressings. 1. Place all ingredients in a high-powered blender and mix until a creamy consistency is formed. My new cookbook, Hashimoto’s Food Pharmacology: Nutrition Protocols and Healing Recipes to Take Charge of Your Thyroid Health, is very special to me. I poured my heart into creating a nutrient guide that will help others find freedom, and I am so excited for you to have it in your own kitchen. These easy to prepare, hassle-free recipes will soothe and nourish your body so that it can rest and begin to truly heal. 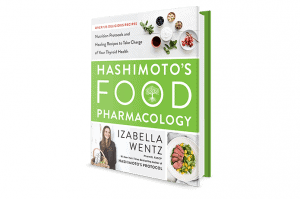 This cookbook is very different from others because the first few chapters teach you how to support yourself through optimal diet, digestive enzymes, and proper nutrients. Order your copy now. What can we substitute if we hate cilantro? Hello! What brand of coconut yogurt and coconut milk do you use? I coconut yogurt not a dairy food? I have not heard of it before but sure would like to use it!